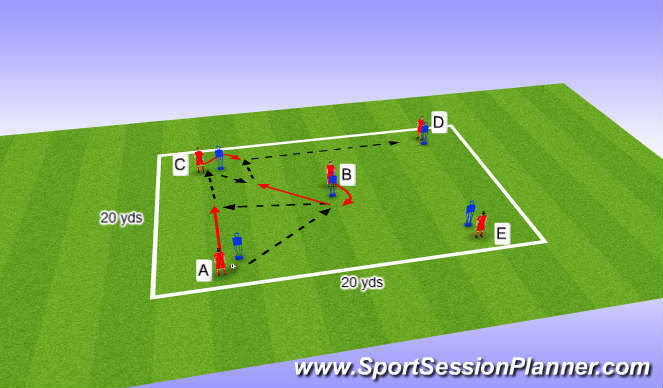 A shifts ball to play into B who has moved infront of mannequin to recieve. A then runs round mannequin to receive a wall pass with B. A then plays into C , B Moves towards C who plays a 1-2 round mannequin who then plays to D.